Home » Blog » Can Any Attorney Help with a Personal Injury Claim? Can Any Attorney Help with a Personal Injury Claim? It is understandable that if a person has worked with an attorney in the past and gotten great results, they would want to continue working with that attorney for other issues. For this reason, it is not unheard of for a person to be involved in a car accident or other injury case and wonder if they can simply work with the attorney they have established a relationship with. This may be a business attorney, family law attorney, or tax attorney. After all, if someone has passed the bar and is currently practicing, they can help with any type of legal case – correct? In most cases, this is not correct. There is just one single situation in which it may make more sense to choose your general attorney or other attorney you have worked with in the past – an extremely minor accident. This would include a fender-bender in which there were no injuries or only surface injuries. If that is the case, then you may be able to handle the insurance company yourself or have another attorney work on it. otherwise, it is always worth it to choose a personal injury attorney. Keep reading to discover why this is the case. If you have an injury to discuss, you can contact us at 877-982-0707 now for your free legal consultation. The bottom line is that if you are dealing with an injury case, you need an attorney who specializes in personal injury cases. Think of it this way: If you were buying a t-shirt then it would likely be fine to get advice from a general associate at a department store. However, if you were buying a major appliance like a new stove, would you want advice from any floor associate or would you rather talk to someone who specializes in appliances? Put another way, you may go to your general practitioner when you have a cold or if you have a rash you do not understand. But if you are diagnosed with heart disease, would you rather work with a cardiologist or a general practitioner? The more complex a situation gets, the more important it is to work with a specialist. As is true in anything else, when you work with the best candidate you can expect the best results. 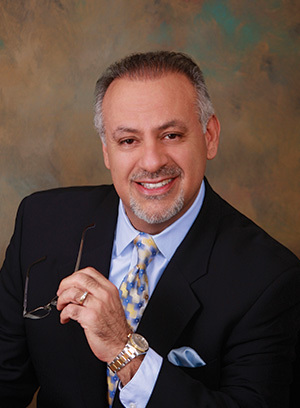 At Law Offices of Fernando D. Vargas we have decades of experience working on personal injury law. A general law attorney may have learned this niche in law school but we keep up to the changes in law on a daily basis. If you want the best possible outcome then it is to your advantage to go to the best in the business. Reach out to Law Offices of Fernando D. Vargas now by calling 877-982-0707. Get a free initial consultation for your case.